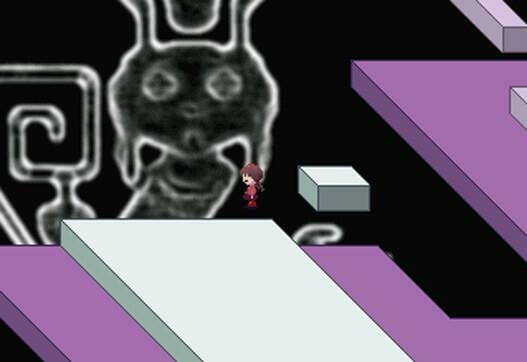 Yume Nikki is a surrealistic adventure game by Japanese developer Kikiyama. 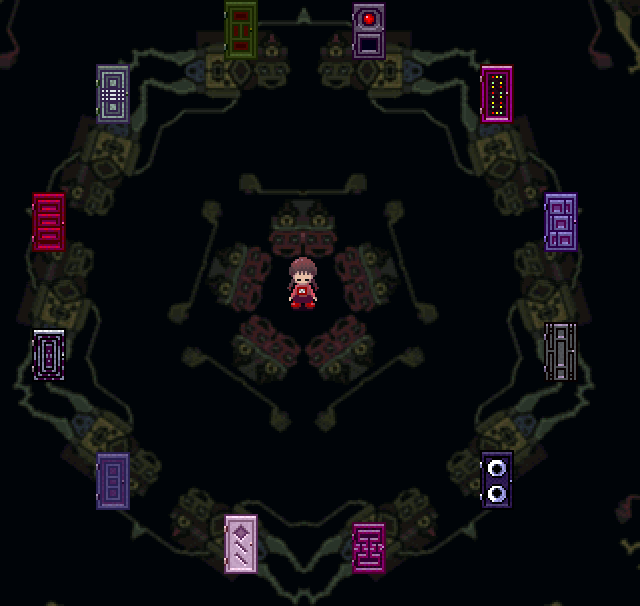 The plot revolves around the young Madotsuki and her journey trough her dreams full of surreal locations and creatures. The initial version was released in June 2004, with subsequent updates over time; the last occurring in 2007. It was later released on Steam by publisher Playism in January 2018. 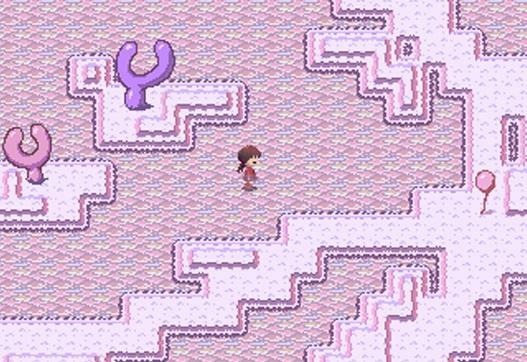 A 3D reboot, Yume Nikki: Dream Diary, was released the following month. In addition, various fangames inspired by the original game have also been released. It has had a huge influence in the gaming world inspiring a lot of games like “Lisa: The first” (which I definitely need to play as well), the recent hit of this year “Doki Doki literature club”, “Dreaming Sarah”, “Dreaming Mary”, “Undertale” and more. There is even a manga based on it which I will be covering in the future. There is not much of a story in the game (or so I thought). For the most part you need to explore trough her dream world and collect “effects”. There are a total of 24 effects scattered throughout the 12 different areas. And there is so much to explore with little to no plot and dialogue which makes the game a very love it or hate it type of game. I can totally understand both sides. Not everyone can just sit there and just spend hours looking for effects but if you end up liking the art of the game and especially the music you will absolutely be enchanted by the wonderfully bizarre world of Yume Nikki. Oddly enough I did not really fit into either of the categories. I really loved the aesthetic of the game. The artwork is amazing and the added music make exploring the world is a totally surreal and creepy experience. The bizarre imagery and creepy atmosphere make browsing this game an unique and memorable experience. But it did feel like too much and I found myself checking out the last part of the game on a YouTube playtrough. I usually like exploring a vast world to find hidden meanings and clues but even I have my limits. I usually enjoy it more in movies or shows, I prefer to have some story line in the game for it to actually fully get my attention. And even the YouTuber that I watched finish the game needed help from his livestream audience to get trough some parts (Shoutout to someordinarygamers, one of my favorite channels on YouTube). But I guess that adds to the charm of the game. The controls can be a bit annoying at parts too. I would not recommend just watching the game online though. You need to at least play it a little bit to feel it’s magic and overall creepiness. Be warned though the ending is REALLY dark. It was the most unexpected thing that I have ever came across. It completely took me by surprise and hit me very hard. I’m getting chills just from remembering it. It literally took the game to a whole other level. It gives you such a different perspective of the game while reaching the ending and I truly am regretting my choice of not finishing it by myself. My god… This is one of those endings that will stick with me for a long, long time. After seeing it all unravel in the end I did return to the game and tried to explore a lot of the hidden worlds and unexplored things. I expected it to be just something like a acid trip exploration or something. It is a game that offers so much and it is absolutely amazing. Even though it has no dialogue it actually ended up having so, so much to tell. It is a rare game that can resonate with you so much. It can make you feel so much and it really can make you think and feel so much. It’s really hard to talk about the best part of the game without spoiling the end so I will stop there. Every world has a lot of symbolism which can tell us a lot about her character and gives us a lot to interpret. There are a lot of theories but I can not go into them without spoiling the game. The game also spawned some sequels and I will definitely need to check them out. This game is amazing, simply amazing. I am so glad that it made me interested enough to reach the end which is mostly because of the music and scenery.